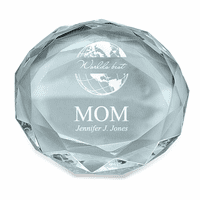 Let the Boss know how much you appreciate the leadership and hard work, with this stunning solid crystal desktop card holder and paperweight! 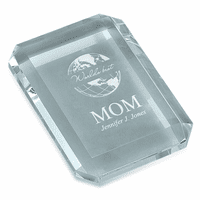 It's perfect desktop size, at 4" x 5", and holds up to 15 business cards. The crystal has an elegant beveled edge, and is laser-engraved with our World's Best Boss design, with room to laser-engrave the Boss's full name for free! 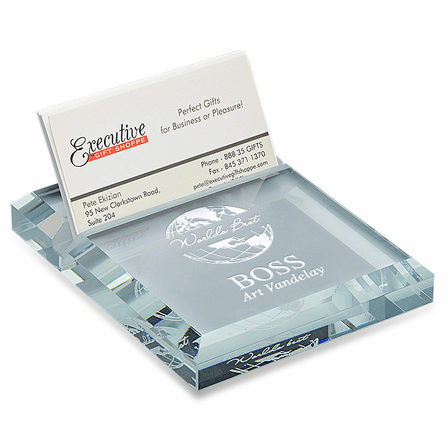 This card holder comes packaged in a handsome gift box, ready for presentation.